Our experience combined with your goals is a winning combination that will increase your revenue and market share. Our strategies for success are unique and designed to suit the specific needs of each client. Many of the lessons learned from our experience will result in impressive gains in performance for your brand. Performance is paramount to our relationship and will dictate the path taken to increase your brand visibility, relevance and reputation. We can assist your entire organization with the most effective leverage of the Internet as a resource to directly connect with your clients. Our programs are designed to have an immediate impact on your bottom line by utilizing our entire team of marketing professionals to create a program that will accomplish in months, what used to take years to achieve. We look forward to the opportunity to deliver to you a well‐executed Internet marketing strategy and to continue our rewarding business partnership. Our clients have the unique opportunity to accomplish marketing objectives by adopting the Bluewire Affiliate Marketing Solution. Bluewire is uniquely positioned to provide your company with a full package of services that include Affiliate Recruitment, Affiliate Marketing Strategies, Program Development, Program Management and Affiliate program enhancement. Bluewire is comprised of award winning affiliate marketing professionals and have direct relationships and years of program history with Commission Junction, Shareasale, Pepperjam, Google Affiliate Network, Linkshare, Kowabunga, ClickXchange, and many others. Our Affiliate Marketing package is a comprehensive, intelligent solution designed to provide a substantial return on marketing investments. If you are looking to launch a program or a business on the web, or if you are making a push at enhancing or redesigning your current site, you should be talking to Bluewire. These days it easy to tank a website and business if proper steps are not taken to insure a proper transition, If you are looking to launch a new marketing program, we can help you create a road map to determine realistic goals and processes geared for success. Unlike most agencies that offer expertise limited to one vertical, Bluewire offers extensive design and management services across multiple areas of Internet Marketing. Take advantage of our team of conversion experts! Bluewire can increase your online sales and lead generation dramatically. If you were able to move the needle on your site conversion by just 1%, what would that do for your company? Getting one more person to buy out of a hundred could equate to millions of dollars. If you are not looking at conversion optimization as a priority you are leaving money on the table. Through detailed analysis and research, we can provide suggestions and enhancements to help eliminate potential gaps in the flow of you conversion funnel. Through both A/B and Multivariate testing we will be able to provide metrics on specific elements of pages and help you make data-driven decisions about the performance of your website. Bluewire utilizes Paid Search Marketing as a tool to drive scalable conversions for any product. 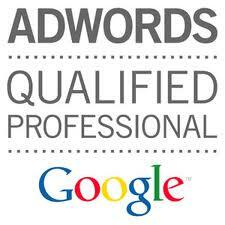 With an Adwords Qualified Professional, we have the ability to build a world class Paid Search Program. Your success is the result of real‐life experiences gleaned from assisting other companies to achieve their success. We can create a Paid Search Marketing campaign to drive revenue. The management of your program will adhere to your company’s goals for Return on Investment and growth through increased sales and improved conversion rates. Bluewire, representing your company as agent, broker, media manager, media coordinator, ad coordinator and campaign manager will launch and manage a multi-publisher/source display advertising campaign on a Cost Per Acquisition basis. To build an optimal portfolio of advertising channels, we will select direct publishers and advertising networks that provide the greatest potential for maximum brand awareness, unique shoppers, and direct sales and leads to your brand. On‐site optimization for search is fundamental to any web site, but a short‐sighted company will forget that its people that matter most. Getting attention has little to no value if there is nothing to back it up. Knowing what to target is where we start, but the question of “why” and “how” are critically important variables that deserved to be tested and measured to make the most of your online marketing efforts. Search Engine Optimization is our bread and butter. We have worked with Internet start-ups, Internet retailer top 200 companies, and everything in between. As the market shifts and trends change, Bluewire will stay on top of the latest techniques to increase your organic search efforts. By applying a team of specialized professionals, you increase resources, which will reduce the time to achieve optimal results. Because SEO is expanding beyond search engines and is growing to include the web in‐large, Bluewire will help your brand increase its marketing channels building a diverse marketing portfolio that will mitigate marketing risk and increase your reach to all types of customers and search engines. The expansion of Social Media has given your customers a voice. The introduction of Social Media as a marketing and business development tool has essentially broken down the traditional barriers of communication across all channels of business, including customer service, marketing, etc. Our Social Media marketing services are designed to put your company in a position to engage in a conversation naturally happening between you and your customers. Our services are designed to show you where people are talking about you, the areas where you can reach you target demographic effectively.